The winner of the Biblical ABC Learning Contest Giveaway for week one is TIFFANY RELAFORD! The question for week one was "Who were the parents of Moses?" The answer Tiffany submitted is Amram(father) and Jochebed(mother). Numbers 26:59 can be used to reference in the Bible. There are also other books of the Bible that can be referenced to find out more about Amram and Jochebed. The next Contest Giveaway question will be posted on Tuesday, April 12, 2016. The Spring/Summer Release of Biblical ABC Learning is approaching! A concrete release date will be announced soon! Please continue to visit and follow my websites and social media for updates! 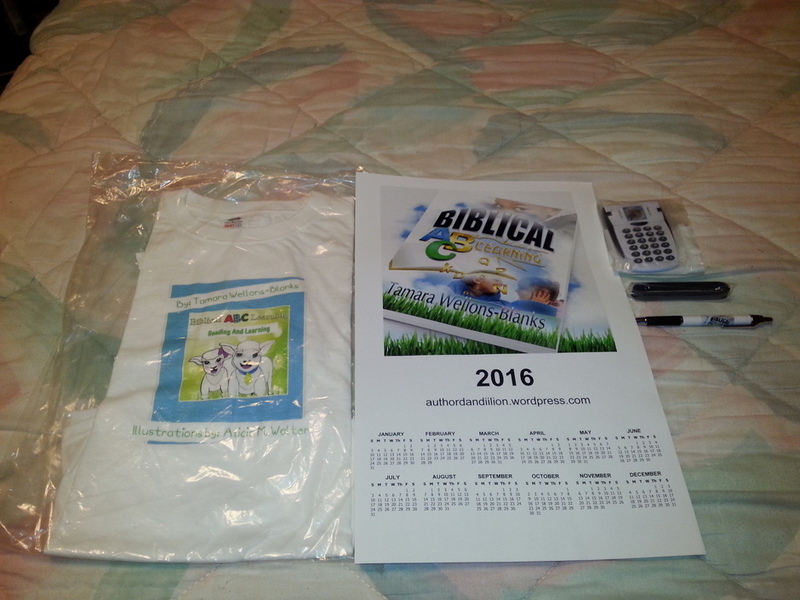 Week One Contest Prize includes Biblical ABC Learning T-shirt, calendar, pen, Dandii_Lion calculator and Dandii_Lion wrist band!! Good learning contest has been arranged here for the individuals who were performing for the display of skills and abilities. Visits of the http://www.rushmypapers.org/ have been made for the extraction of required knowledge for the people for their talent and intelligence in this show. mahjong dimensions free games are fabulous and also a type of energetic games. You must try at once.